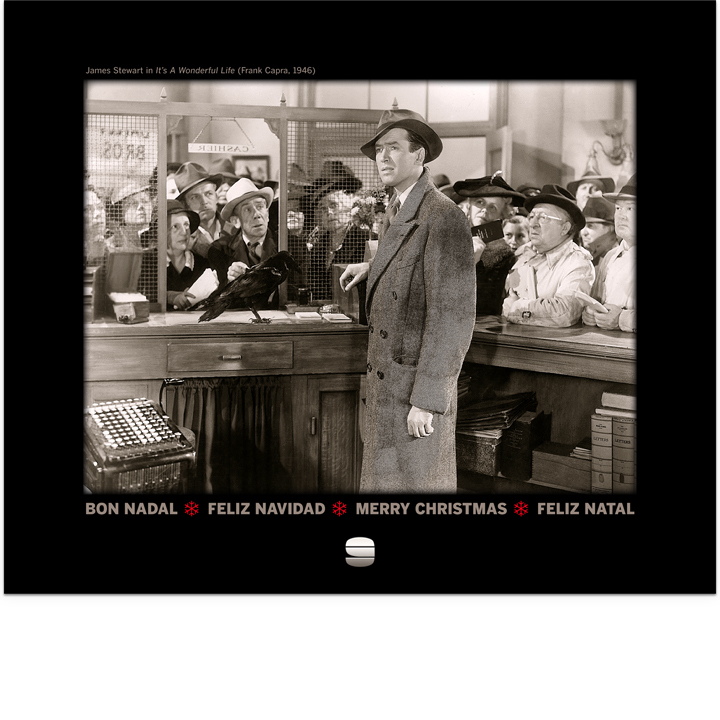 Credits: Christmas 2011: James Stewart in It’s A Wonderful Life (Frank Capra, 1946). 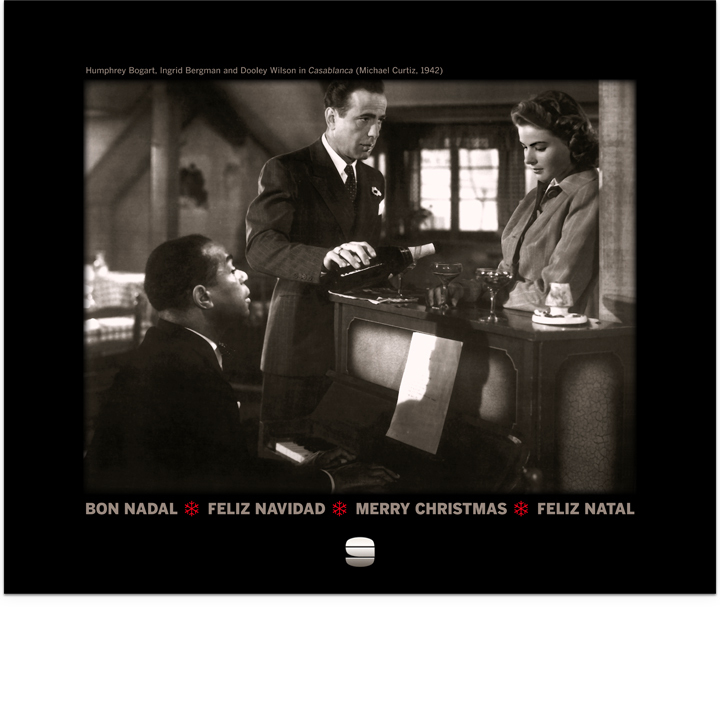 Christmas 2012: Humphrey Bogart, Ingrid Bergman and Dooley Wilson in Casablanca (Michael Curtiz, 1942). 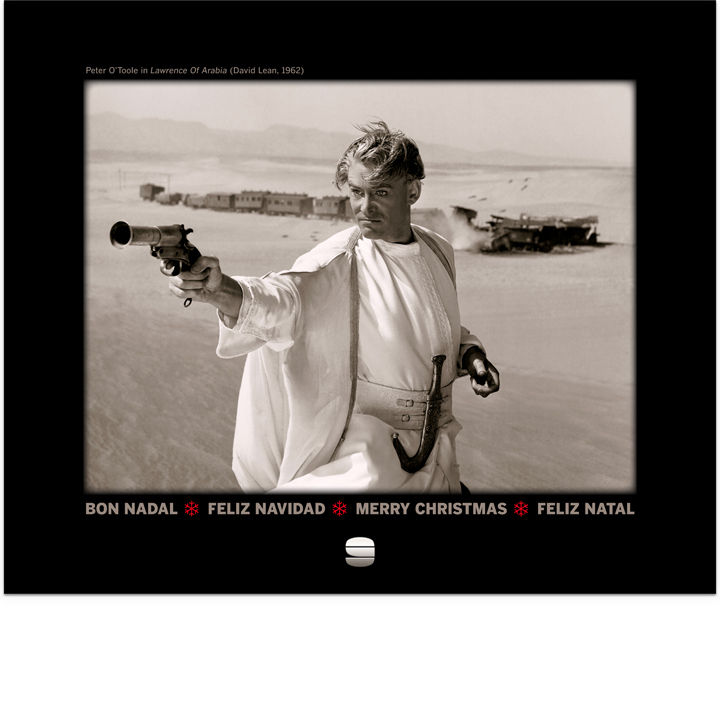 Christmas 2013: Peter O’Toole in Lawrence Of Arabia (David Lean, 1962). 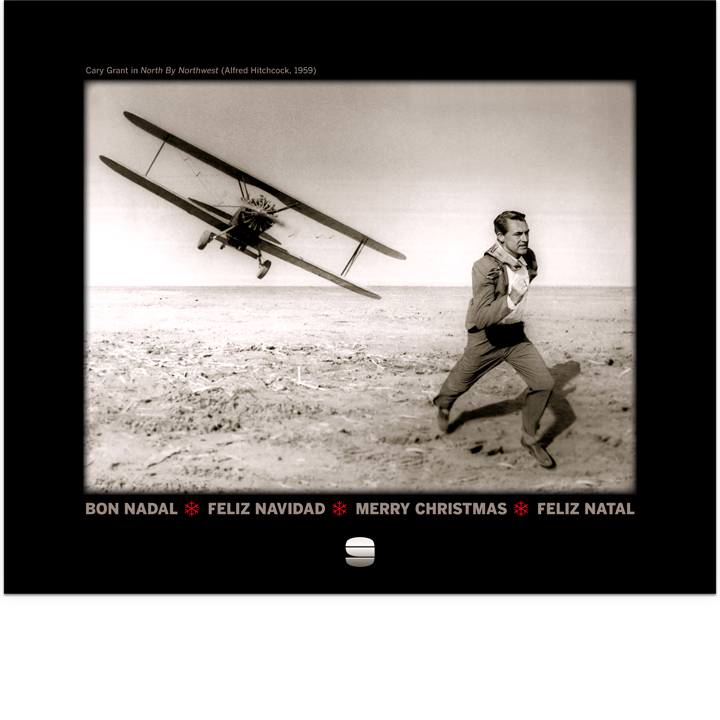 Christmas 2014: Cary Grant in North By Northwest (Alfred Hitchcock, 1959). 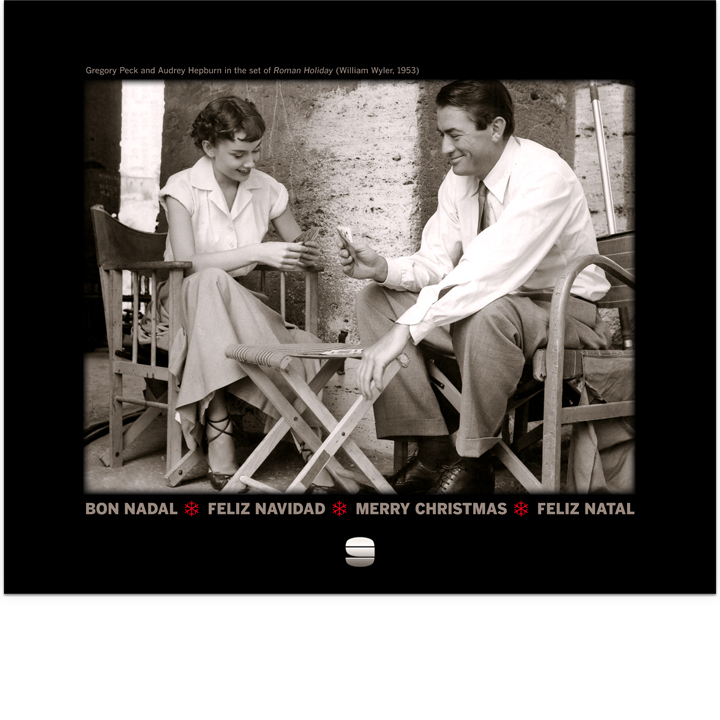 Christmas 2015: Gregory Peck and Audrey Hepburn in the set of Roman Holiday (William Wyler, 1953). 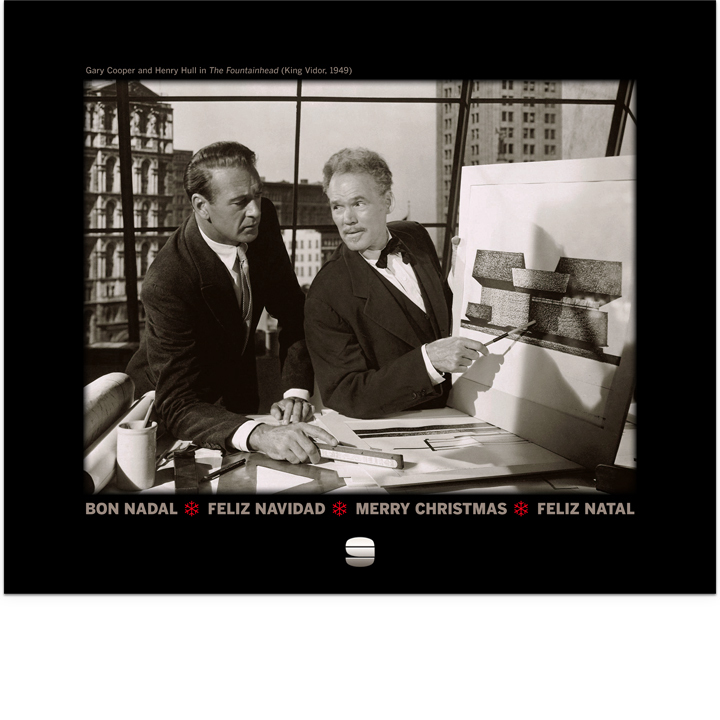 Christmas 2016: Gary Cooper and Henry Hull in The Fountainhead (King Vidor, 1949). 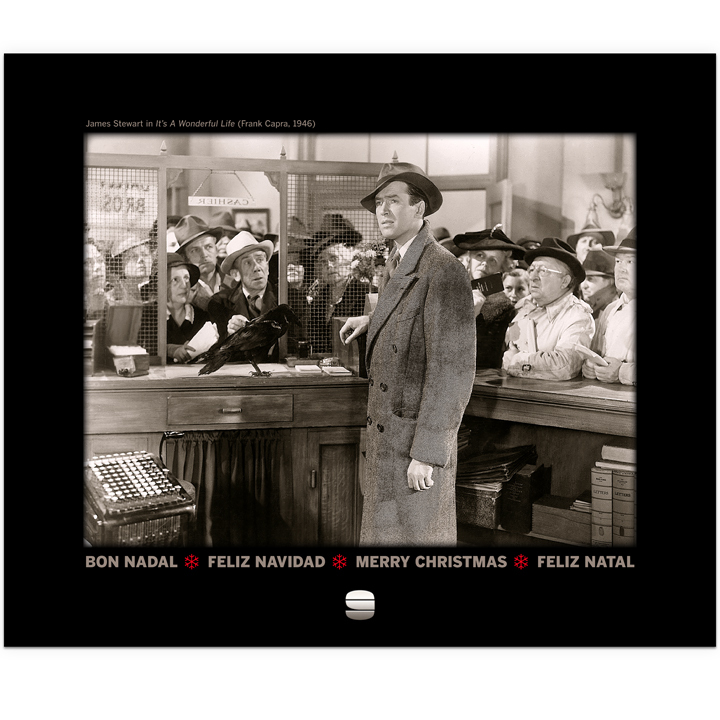 Christmas 2017: John Howard, Cary Grant, Katharine Hepburn and James Stewart in Philadelphia Story (George Cukor, 1940). Christmas 2018: Grace Kelly in High Society (Charles Walters, 1956).